Domestic Biomass Fuels - What's Available? 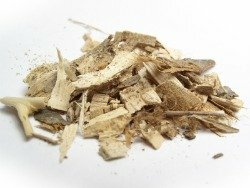 Depending on your particular situation, one of the above biomass fuel types may suit your needs better than the others. 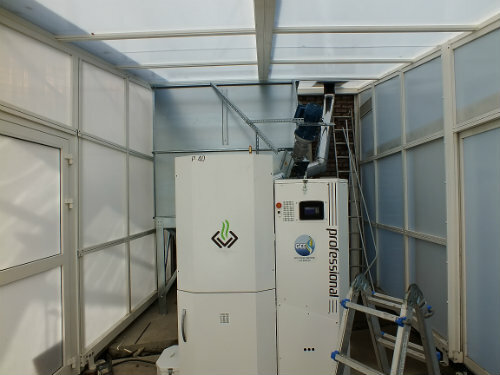 Plus most biomass boilers are set up to use only one type of fuel. Have a low moisture content. Contain as few impurities as possible (e.g. soil, bark, dust and grit) to ensure they burn cleanly and evenly and produce the minimum amount of ash during the combustion process. As the name suggests these are simply logs that you can either buy locally or cut on your own land for use in your biomass boiler or biomass stove. There are however some things you need to consider before going down this route. The logs should be as dry as possible (ideally they should have a moisture content of 20% or less). As a rough guide, allow 1 year per inch of thickness to ensure the logs are dry enough to burn. They need to be of a consistent length and thickness (15-50cm long x 6-8cm thick are typical) although your boiler manufacturer will be able to give you the ideal parameters for their particular system. You'll also need a good fuel store to keep your logs in. This should have a roof with a good overhang to keep the logs dry, a dry solid base and good ventilation (stacking them on old pallets is ideal). A log based system needs to be filled more often than chipped or pellet systems and they tend to produce more ash and creosote, so they'll be the most labour intensive of the three. Logs aren't eligible for the RHI (Renewable Heat Incentive) payment. 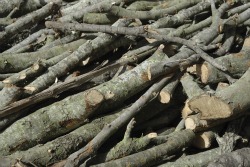 These are simply logs that have been 'chipped' and can be made on site by buying a chipper. If you decide to go down this DIY route you should make sure the chipper you are looking at is capable of producing consistent fuel grade chips that'll work in your particular boiler (check requirements with your boiler manufacturer). Chips typically need to be between 2 and 25 mm in size to work best. The larger your boiler the less sensitive it will be to chip size. As with any biomass fuel they ideally need to be of a uniform size. If larger pieces are present they can block the feed system of your boiler. Dust content needs to be as low as possible. 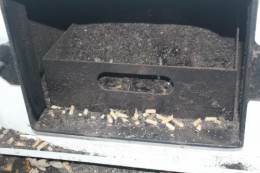 Excess dust will reduce air flow and therefore the efficiency of the combustion process, producing more ash and can present health issues if breathed in. Chips should ideally have a moisture content of below 30%. Chips aren't eligible for the RHI payment. These are made from by-products of the wood industry (e.g. 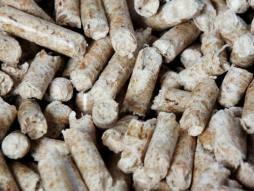 wood shavings and sawdust) compressed into pellet form. They have the benefit of being very consistent in size and quality as they're a man-made product. As they're consistent in size and quality they burn very efficiently and evenly. 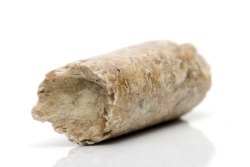 They have a very low moisture content of around 5-10%. As they're a manufactured product they're very clean with virtually no contaminants such as dust, bark, grit etc. to make the burning process less efficient. They produce very little ash, meaning you'll have to clean your boiler out less often. 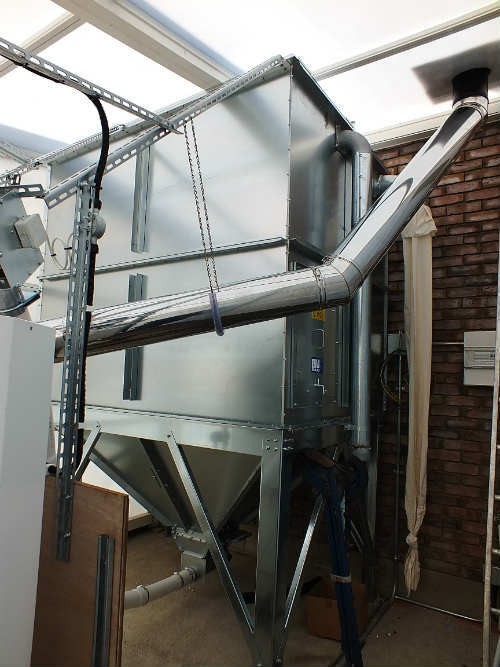 When used with a hopper and automatic feed system they're the least labour intensive fuel of the three. However they can be the most expensive of the three to buy. Prices of pellets tend to mirror oil/gas prices. So when oil or gas prices increase pellet prices tend to do the same. 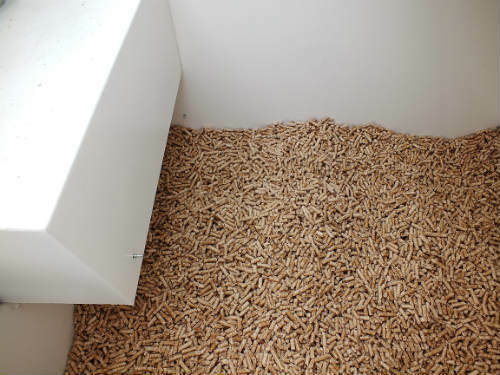 Pellets are eligible for the RHI (Renewable Heat Incentive) payment, except in N. Ireland where the RHI has come to an end as of the end of Feb 2016. As you can see each of these biomass fuels has its own advantages and disadvantages, from cost and ease of use to labour intensity. Perhaps you have sustainable woodland beside your property or maybe you want to keep your labour input to a minimum. Whatever your position there is a biomass fuel out there to suit your needs. Just make sure you can source your chosen fuel locally to avoid additional transportation costs.